The University for the Creative Arts (UCA) has announced that former student Magdalene Odundo – who was Professor of Ceramics at UCA for many years, ahead of being appointed Professor Emerita – will step into the role of UCA Chancellor in June 2018, succeeding Dame Zandra Rhodes who becomes Chancellor Emerita. Professor Odundo graduated with a first-class degree in 3DD Design: Ceramics, Printmaking & Photography from UCA’s Farnham campus – then known as the West Surrey College of Art & Design – in 1976. She said: “It is an honour to be invited to continue my relationship with a university I have been closely associated with over many years. Professor Odundo is one of the world’s greatest contemporary potters and a continual source of inspiration to students at UCA. After graduation, the Kenyan-born artist combined teaching and further study with a ceramic art practice which has seen her work collected in museums worldwide. In 2001, UCA appointed her Professor of Ceramics, a post she held until her retirement last year. 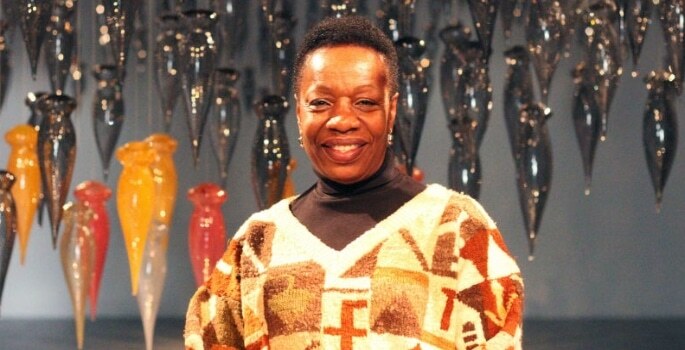 In 2008 she was awarded the OBE for services to the arts, and also received the African Art Recognition Award by Detroit Art Institute’s Friends of African and African-American Art. In 2016, on her retirement from teaching, UCA awarded her the lifelong title of Professor Emerita to recognise her contribution to the University’s research culture. As Chancellor, Professor Odundo will act as the figurehead for the University which has campuses in Canterbury, Epsom, Farnham and Rochester, along with teaching centres at Hampton Court Palace and Maidstone TV Studios. She will preside at its graduation ceremonies and confer degrees on its graduands. The Chancellorship will be officially conferred on Professor Odundo at the first of UCA’s 2018 graduation ceremonies, taking place at London’s Royal Festival Hall on 25 June 2018.